Put down that $10 avocado toast, stop sorting your vintage LP collection, and shake off that look of smug ennui. You’re going to want to pay attention to these hip and happening events taking place in the Golden Gate National Parks this autumn. Thursday, September 7, marks the season finale of our friends-raising Trail Mixer event series. 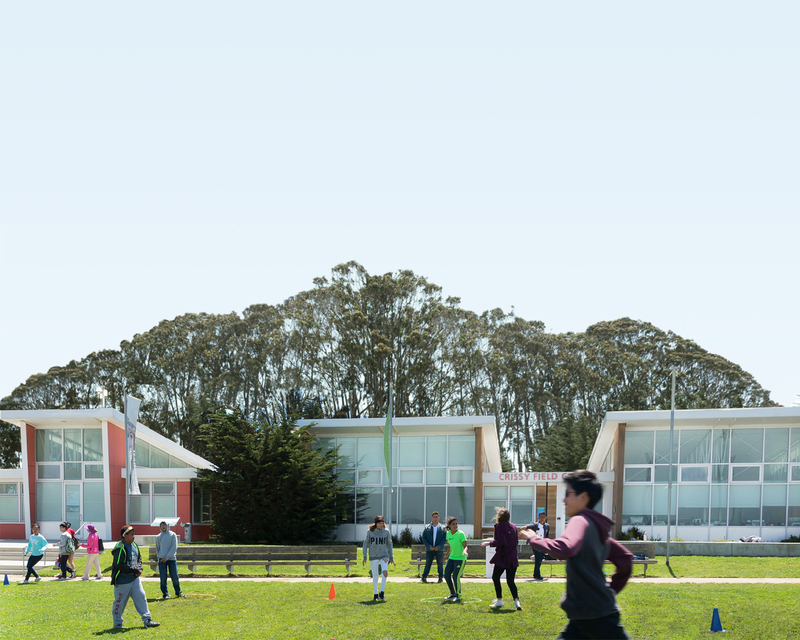 Each first Thursday of the month since April, we’ve hosted an “outdoor happy hour” at spectacular locations across the 1,400-acre former military base known as the Presidio of San Francisco. On September 7, be the first to know what’s happening in the parks with an evening at the Presidio Tunnel Tops Design Lab. Check out the latest designs and videos of the Presidio Tunnel Tops project, take a guided tour of the Design Lab, and, as always, enjoy complimentary brews and tasty snacks from Fort Point Beer Co. and Whole Foods. This one is a first, folks! After more than 15 years of our wildly successful Trails Forever Dinners (our premier annual fundraising event), we’re ready to unleash a brand-new “after party” for the night owls. On September 23, nocturnal animals will revel in one-howl-of-a-night under the moon! With beats from the official Golden State Warriors DJ D Sharp, all-you-can-savor bites, complimentary drinks, DIY stations, and much more, this won’t be an event to miss. Can we get an “ahhhhwoooooo”? Riding the tail end of San Francisco’s autumnal “summer,” FOGG Fest will be THE fall beach party of the season! On October 21, start your morning with Golden Gate National Parks Conservancy staff leading a vital and satisfying volunteer activity in stewardship of your parklands. Then reward all your hard work with an afternoon of beer from Fort Point Beer Co., food, music, and DIY craft projects from REI. Make new, unforgettable connections with people from across the world without leaving Crissy Field! The Portal, a creation of the geniuses at Shared_Studios (an art, design, and technology collaborative), is a gold-painted shipping container filled with immersive audiovisual equipment. Up to eight people can enter the wheelchair-accessible, climate-controlled chamber…and then come face-to-face with another individual or group in another Portal, somewhere else in the world. Currently, Portals are located at over 20 different locations scattered across 11 countries—including Mexico, Iraq, Afghanistan, Rwanda, Honduras, India, and the United States. Reserve a time to travel across the world, through this partnership of Shared_Studios, the Parks Conservancy, National Park Service, and Luminalt. Now, more than ever, we must show some love to America’s public lands. Give back to these places that give us so much—recreation, relaxation, opportunities for reflection, and more. Check out the list of volunteer activities on National Public Lands Day (Sept. 30) from the Parks Conservancy, National Park Service, and Presidio Trust—and bring your family and friends. Better yet, set an example and show a young person that you can put the “hip” in “stewardship”! Even though the eclipse has come and gone, there’s still plenty of reason to look up this autumn! Every fall, the skies the Marin Headlands play host to thousands of birds of prey as they travel on their Pacific migratory flyway. To gather valuable data, Golden Gate Raptor Observatory (GGRO) volunteers and staff identify, count, band, and track the birds. You too can join the migration game! Every Saturday and Sunday in September and October (save for October 8 and 9), GGRO will host docent programs (noon to 2 pm) so that anyone can see real wildlife in the sky. You’ll learn tips for spotting raptors, learn about the GGRO’s volunteer-powered conservation programs, and witness a recently banded hawk take to the sky. Touted as San Francisco’s most historic building, the Officers’ Club—once a social hub for U.S. Army officers and their families—is now a must-see destination for a dose of culture in that northwestern corner of SF. Free and open to all, the Presidio Officers' Club offers exhibits tracing the Presidio's past and present, free live music and talks, and weekend crafts for kids. It's also a wonderful place to gather, featuring Arguello, a Mexican restaurant by award-winning chef Traci Des Jardins, as well as special event venues. See a list of upcoming events. During World War II, the Presidio of San Francisco—the Army's Western Defense Command—played a pivotal role in the unjust incarceration of 120,000 Japanese Americans, purportedly in the name of national security. A special exhibition, “Exclusion: The Presidio's Role in World War II Japanese American Incarceration,” opened in April at the Presidio Officers’ Club, exploring this little-understood part of the post’s history. Ryan Curran White—also known as Curran White—is the Senior Social Media and Web Content Specialist for the Parks Conservancy.